I was super intrigued by the 1440 Multiversity concept for a few months now (they opened a year back). Because it’s a new concept that – once experienced – is super addictive. It’s like a summer camp for adults like me who want to get better at the game of life. Their name comes from the 24 hours * 60 minutes = 1440 minutes in a day that one has to cherish. Hence my immediate tie in to our TimeHackers concept we’ve started to write about/ open a community on Facebook – people who want to get better with their time. My entire weekend trip went super smooth – I landed at San Juan airport, been upgraded to a nice convertible to arrive at the Redwood Oaks location and everything was taken care of for me since I got there. Ever since I read Spark, a book that shows the impact of different exercise types on one’s well being I’m determined to add even more motion in my life. 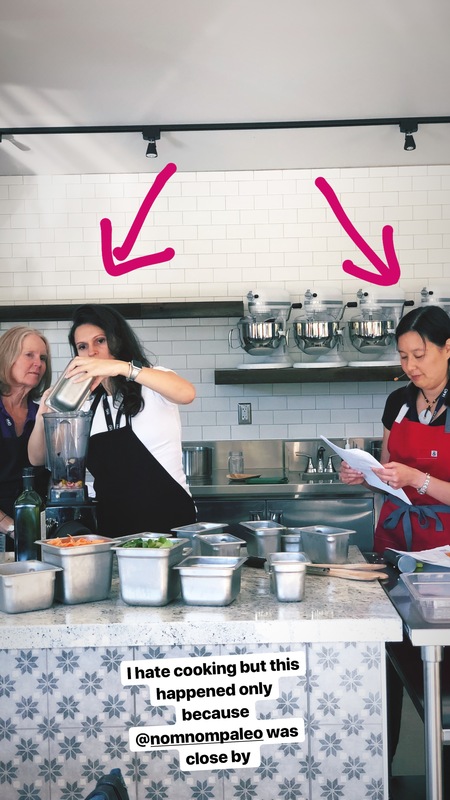 I’m more of a CrossFit kinda gal but since I didn’t see this on the “menu”, I opted for Yoga class with Beth Riley – and I was not disappointed. I’ve never really been into yoga but this was one of the best yoga class I’ve been to. The workshop on nutrition did not disappoint. I was most impressed by Diana efforts to show how one can humanely & be sustainable while you grow cattle for meat. And by Michelle obsession on creating dishes that are super tasty, easy to make and nutritious at the same time. I had followed Michelle from the very beginnings of her blog when I was following a paleo mindset myself. I liked her for being genuine and passionate about food. Also because i have a weakness for Asian food. At 1440 Multiversity they also have lots trails and nature walks which are only making the experience feel more magical. Between the food, the activities, the workshop, the nature walks, an awesome spa massage I didn’t feel like I wanted the weekend to end.